Which quote sejak Finn McMissle is your favorite? pilihan peminat: "Being killed sejak a clock. Gives a whole new meaning to 'your time has come'." What Are The Main Important Lessons In Cars 2? pilihan peminat: All Of The Above! Man! Those Are Some Good Lessons! 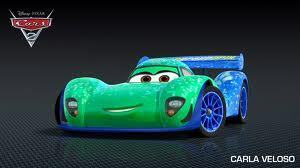 Many people have disdained Cars 2 for several reasons.What anda think about? pilihan peminat: Simply because they expected a film as quiet as the first Cars. Have anda seen the movie? Cars 2 has been rated as a movie for everyone. Do anda agree? pilihan peminat: Oh yes, I think is good for all ages! Is the labah-labah girl movie gonna be here? The person who wrote these stories should be ashamed of themselves. My 15 tahun old twins, both who have autism look ke hadapan to Membaca up on other stories about these characters online, today they have stumbled upon these stories which have made me sick to read. Included in the story are extremely verbal sexual situations, along with female bodily functions and a pregnancy? And if that wasn't enough a picture is included of toy versions of the characters in a sexual pose!! Tow Mater was brought into this world in the little town of Radiator Springs, along historic Route 66 in the tahun of January 12th, 1957. Although it is not known for sure, he is believed to be the son of Stanley and Lizzie Mater from Radiator Springs. Mater's color as a handsome youngster was light baby blue (see right photo) but became lebih and lebih brownish-rust as time went on. It is possible that his extensive wear and tear was brought about sejak his obsession with traktor tippin'. I have the DVD. Mythical. Watch it once, and anda feel like you're back to the cinema. Focus on certain scenes, and anda scare a moment as it happened to me.Do anda know the movie parental guidance? I can present my impressions in this way..Here all the goodies about characters,movie violence(huh,re-watch it slowly is quite traumatic),sexual countenance and other (more atau less in the movie order,not all in the same artikel but divided)! 1)Have anda noticed that in the Mel Dorado show,at the end,Francesco had the sound taken away as he was about to yield to bad language? With a friend. We also enjoyed the end credits in 2D. My friend berkata the credits make anda reorder the ideas about the just watched film and let anda instantly know what anda have felt about that movie. If anda Cinta Mater and if anda are a peminat of Mater please sertai the Mater club! a comment was made to the poll: What is the best spy ?? a comment was made to the poll: What girl is better? what number is carla veloso ?